PS – This was at Nelson Mandela’s memorial service. 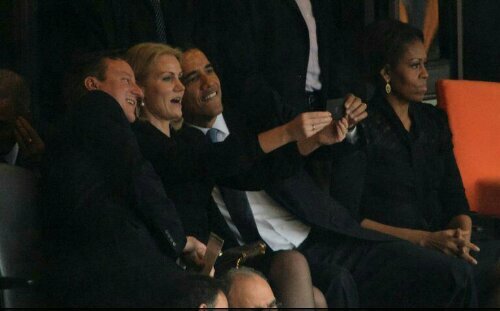 PSS- Michelle couldn’t care less about selfies. Posted on December 10, 2013, in Average Blog Posts and tagged British, david cameron, obama, pm, Prime Minister, selfie. Bookmark the permalink. Leave a comment.